Acting is not just about feeling the character, but also getting into its skin. 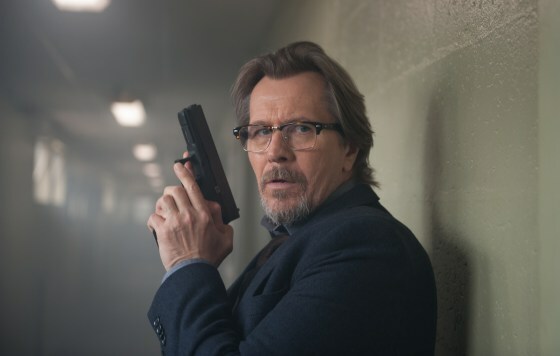 After being know to play Harry Potter’s godfather, Gary Oldman plays a serious baddie in the upcoming movie ‘The Hitman’s Bodyguard’ where he sinks his teeth again into another epic villain, the ruthless Dukhovich. “I had a lot of fun with this role,” confesses Oldman. “The script had a fantastic marriage of action and dialogue and Ryan Reynolds and Samuel Jackson are a great double act.” Despite no prior knowledge of Russian, Oldman was required to speak it expertly in the film. “I probably could have learned Hamlet measure for measure in the time that I’ve spent on my lines” he laughs. The Hitman’s Bodyguard is an action adventure revolves around a relentless bodyguard and a manipulative assassin, usually pitted against each other, to spend a widely outrageous 24 hours and are forced to work together to defeat a callous and horrid Eastern European Dictator. This movie will be released in approximately 1000 screens across India in Hindi, English, Tamil and Telugu. Witness this crazy action-adventure in cinemas near you on August 25, 2017.